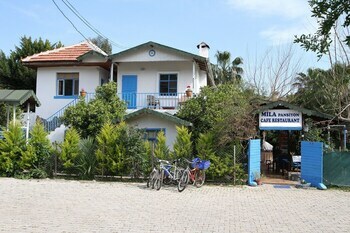 Located in Kemer, Mila Pansiyon is by the sea, a 3-minute drive from Cirali Beach and 6 minutes from Chimaera. Featured amenities include express check-in, a 24-hour front desk, and multilingual staff. A roundtrip airport shuttle is provided for a surcharge (available 24 hours), and free valet parking is available onsite. Located in Kalkan, this villa is a 3-minute drive from Kalkan Bazaar and 8 minutes from Kaputas Beach. Free self parking is available onsite.